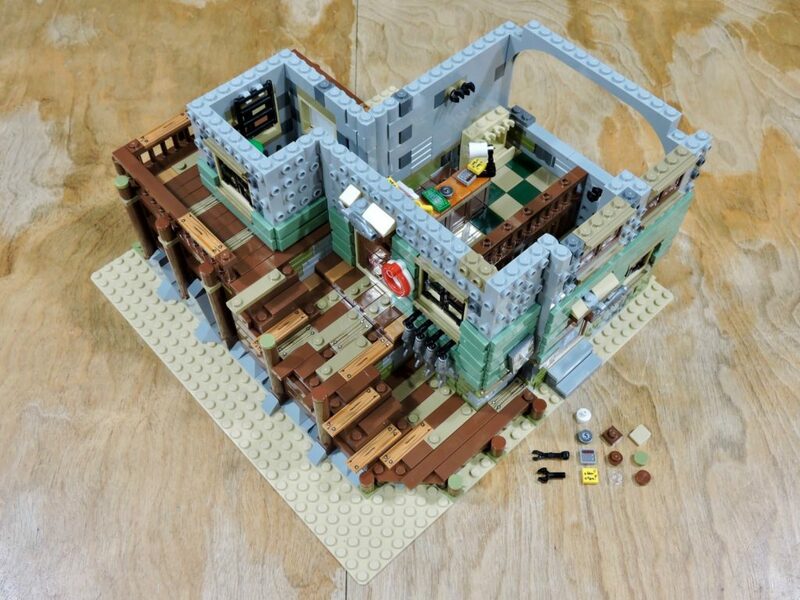 I first saw rumored images of this set, I was smitten. It seemed almost too good to be true, as official sets rarely have that kind of haphazard complexity. Unfortunately for me, everyone else was in love too and it took me a bit to get my hands on the set after it came out. By the time my set finally arrived, reviews were all over the place and I was busy with other things. I tucked it away until later. The Christmas holiday is the perfect time to spend a few days building a set, so I finally dug in! The massive box is awesome! 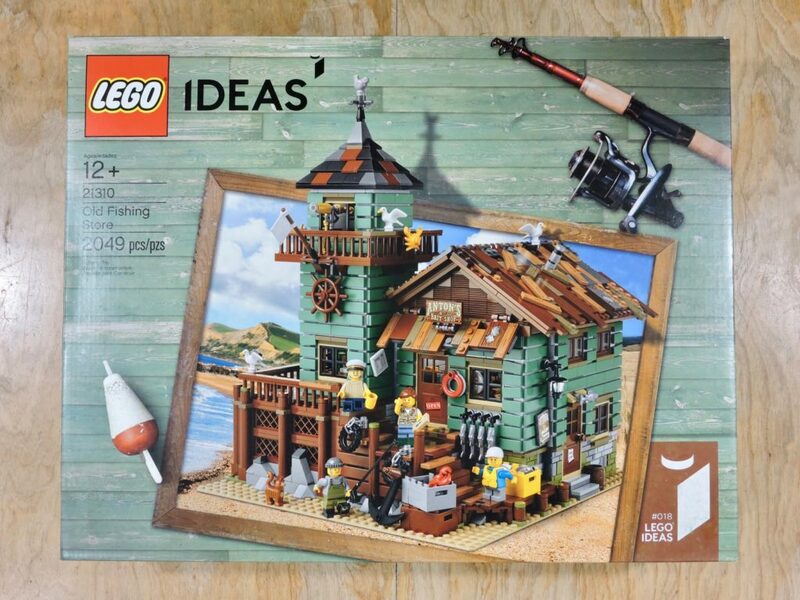 As with most LEGO® Ideas sets, the box design is unique to this set, doing a great job of capturing the subject. Spilling out the contents, there was a lot to be excited about. 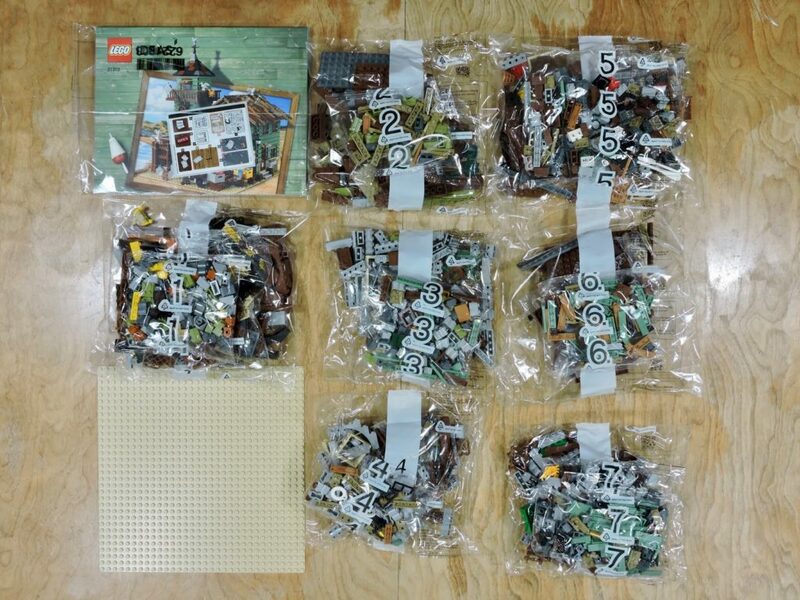 16 bags, numbered 1-7, a brick yellow base plate, and a thick instruction book. The elements are mostly browns and sand green, but there are some tantalizing pops of color to be seen. A nice, small sticker sheet. I decided to use mine, since I was planning on leaving the set together for display when I was done. 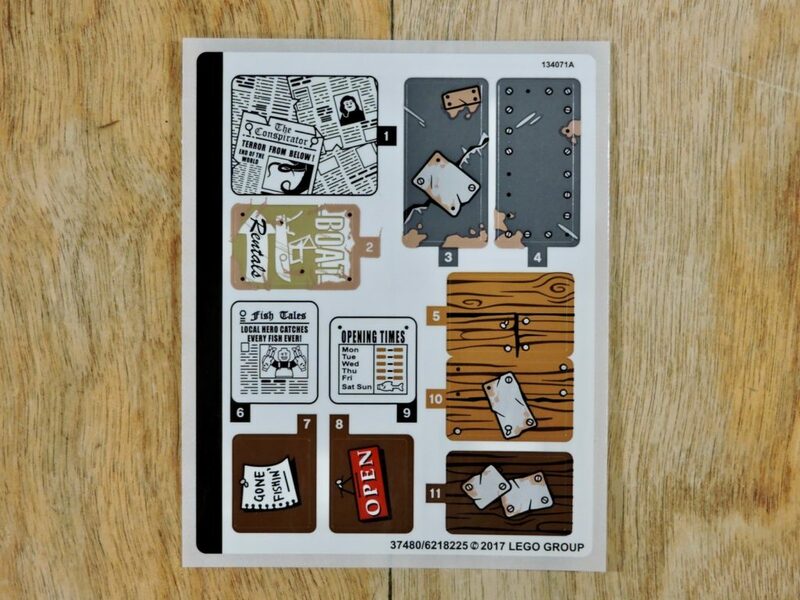 The graphics seem a bit cartoonish, but they match nicely with the printed elements in the set (which are mostly boards). The first set of bags gives us all four of the set’s minifigs. They’re all really nice. 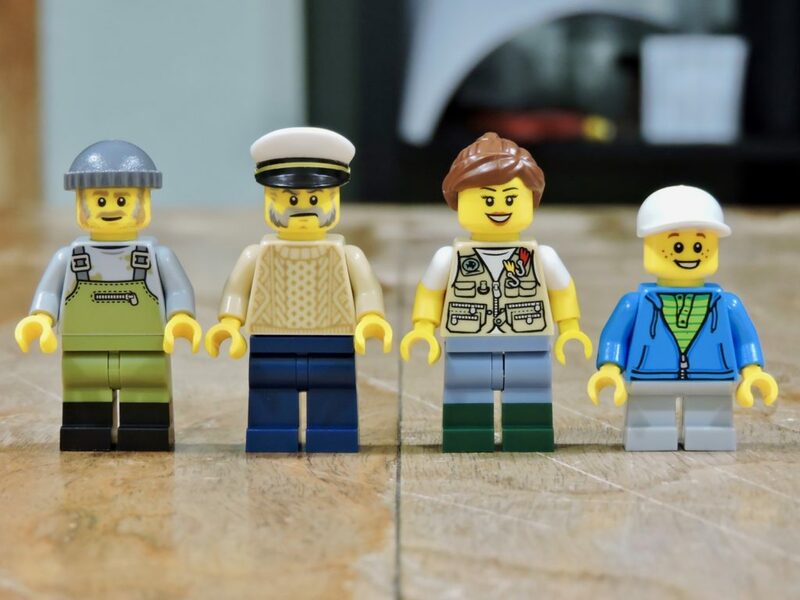 The three adult’s torsos are unique to this set, as is the captain’s hat. My favorites here are the fisherman’s sweater and the waders, which blend nicely from the torso to the legs. Two of the legs have overmolded boots, which are fantastic, and I’d love to get my hands on more of each. Each torso has back printing that is equal to the front. I should also point out the overmolded arms on the woman’s torso. I wish they would do this more often, as the short sleeves look great. Digging in to the number one bags (there were three of them), there are so many cool elements. 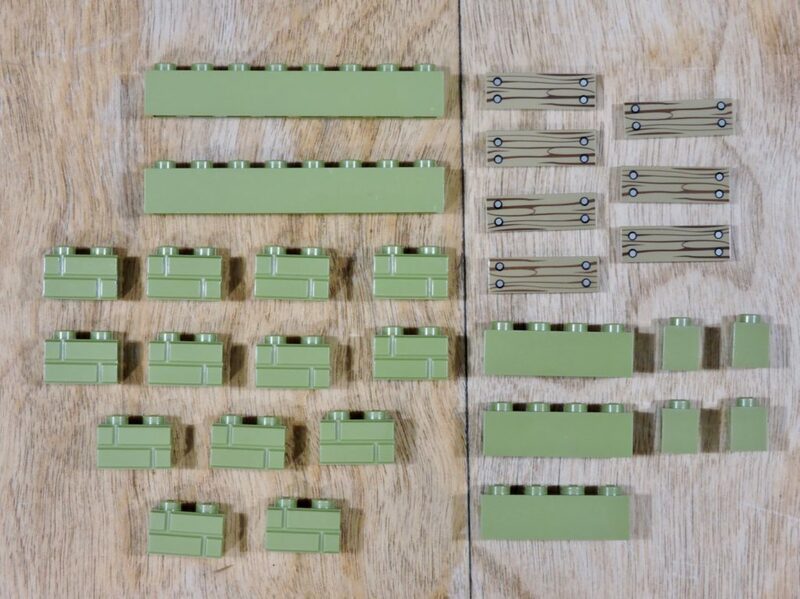 Some of them are recolors for some of the newer molds (like those arches), but there are also a wealth of new olive green elements (though my picture doesn’t capture the color well). 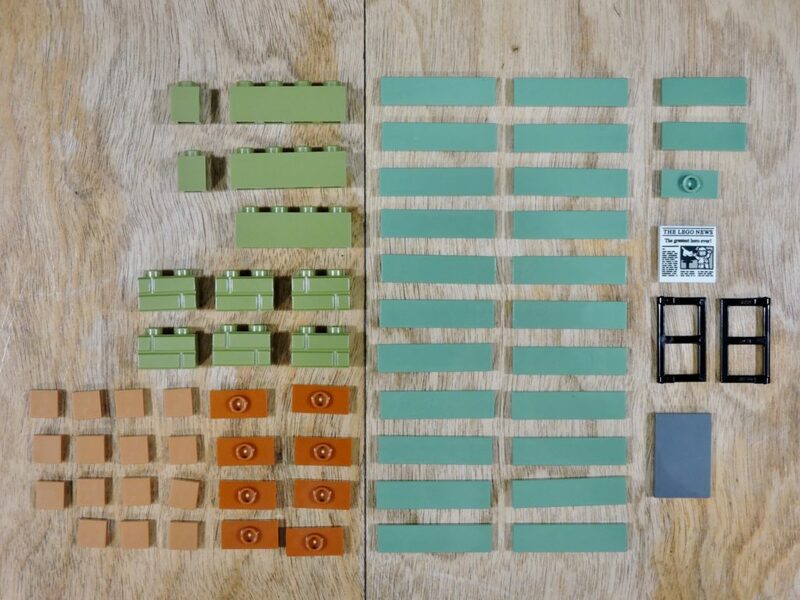 Those olive green brick bricks are particularly welcome, but the other elements are the kind of bread and butter that will make it easier to use the color in general. The first part of the build is mostly foundation structure. All those arches are going to be completely unseen. There is a bit of fun building around the back side, using the fence elements to create a lattice and then surrounding it with rockwork. The bag 2s have more of those olive green elements, but also these super cool 1×3 sand yellow tiles with board print. This new print nicely matches the 1×4 boards in medium nougat that were introduced in the Angry Birds theme last year. The second stage of the build gets us the floors and surrounding decking. There is a lot of exciting color work going on here, utilizing both color and texture to create the worn down woodwork. 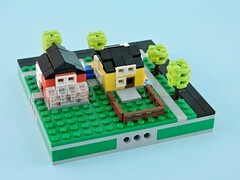 Brick bricks have also been used to good effect here in creating the building’s foundation. One of the things that I really appreciate is that the designer has used both sides of the element to further vary the textures of the masonry. That simpler backside is often forgotten by AFOL builders. The great parts just keep on coming with the third set of bags. In addition to the huge quantity of sand green tiles, there is also a new newspaper print, those lovely black window shutters that have only appeared once before, dark orange jumpers, medium nougat tiles, and lets not overlook the dark stone gray 2×3 tile! We’ve finally started on the building proper, creating walls and tiling the exterior. 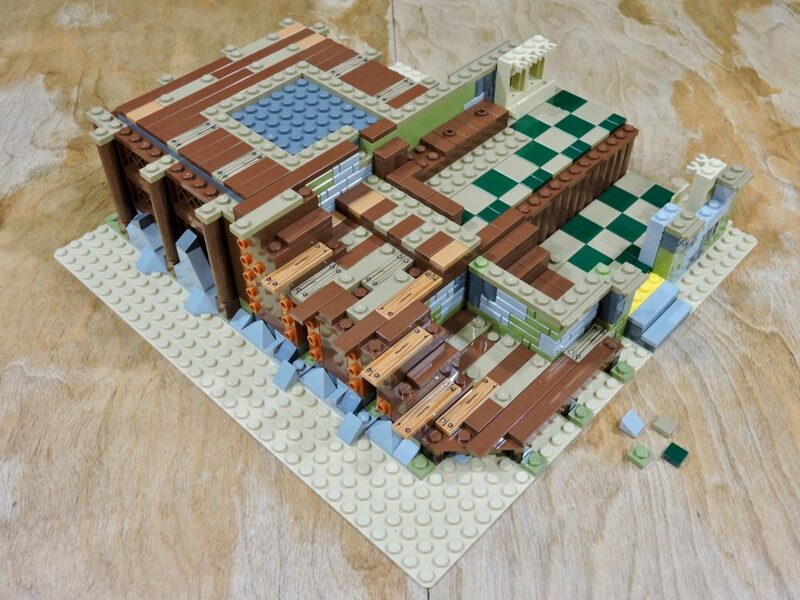 The walls are mostly snot bricks and the tiles are occasionally attached with a single stud, allowing them to be mounted at angles to give the exterior a more weathered appearance. 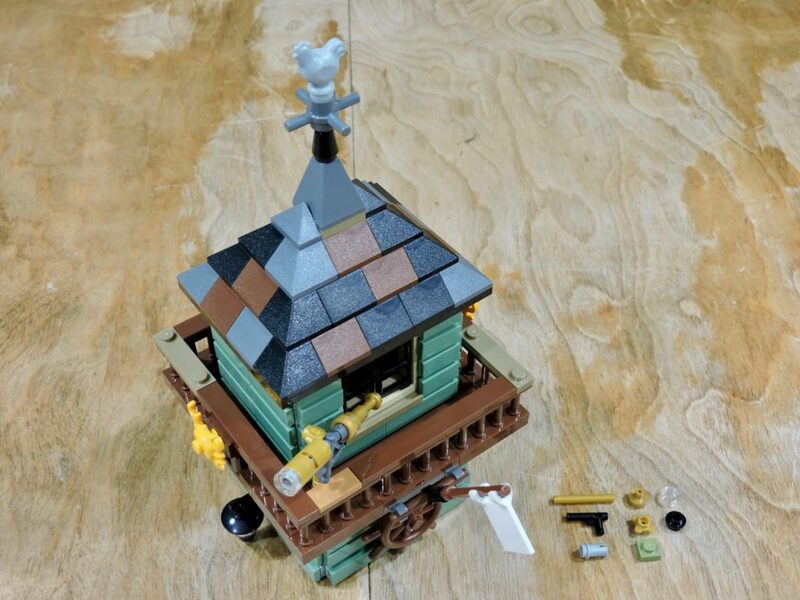 That tiny yellow tile isn’t new, having appeared in a few Friends sets over the last couple years, but I think it is one of the hidden gems of the set. What a lovely detail, perfect for depicting the ubiquitous post-it note. The walls continue to climb, but more importantly, details are starting to accumulate in the interior. These touches are what make the set truly special. The sales counter is littered with exactly the kind of things that accumulate in an old shop like this. The fifth set of bags is all about the interior. 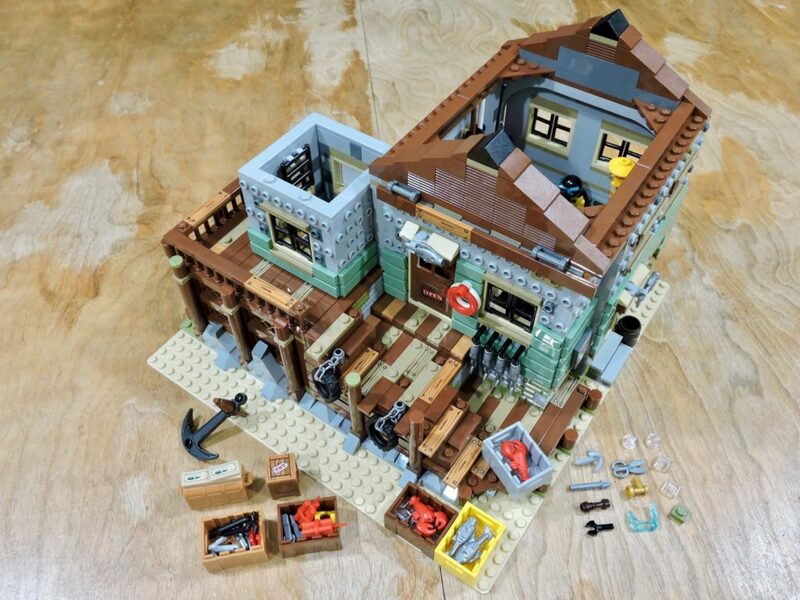 They divulged a cavalcade of cool minifig accessories and such. 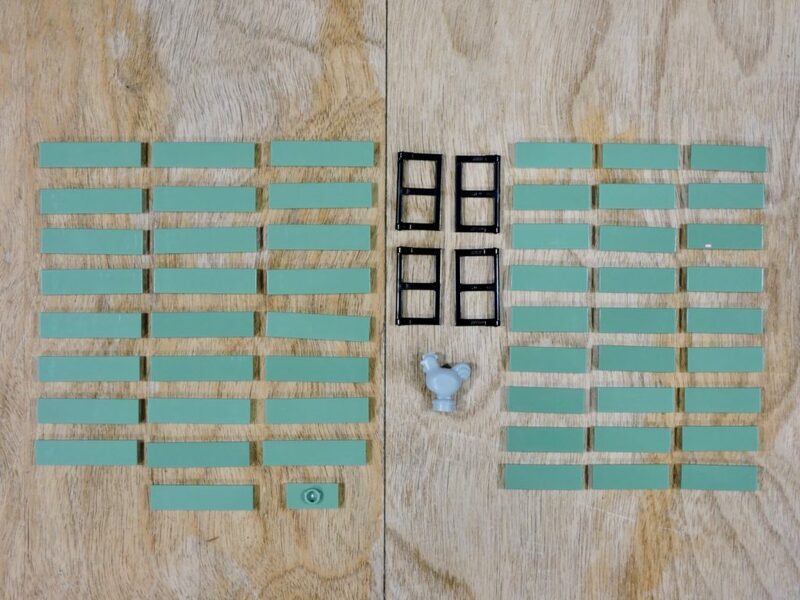 Those cool printed tiles are unique to this set (they say ‘hooks’). A fair amount of what we built at this stage is the fiddly details, all those crates of goodies that wind up littered about the property and stuffed into the interior when the model is finished. I love that the walls are festooned with decorations inside and out, really giving this model that ‘lived in’ feeling. 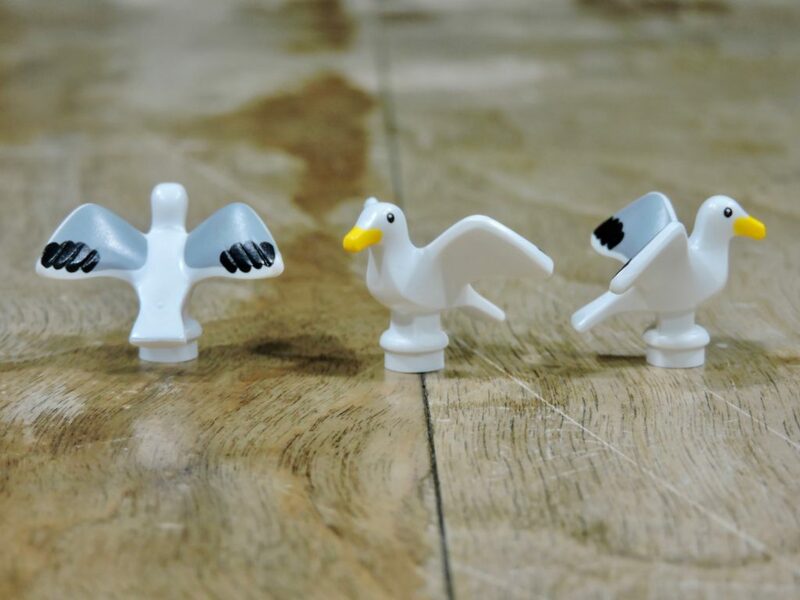 Bag 6 gives us one of the stars of the set: seagulls. 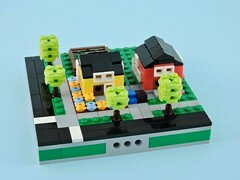 These little guys appeared once before as a CMF accessory, but this is their first time in a set. Molded from soft plastic and with spots of color, they are fantastic elements. Honestly, no maritime model is complete without them. 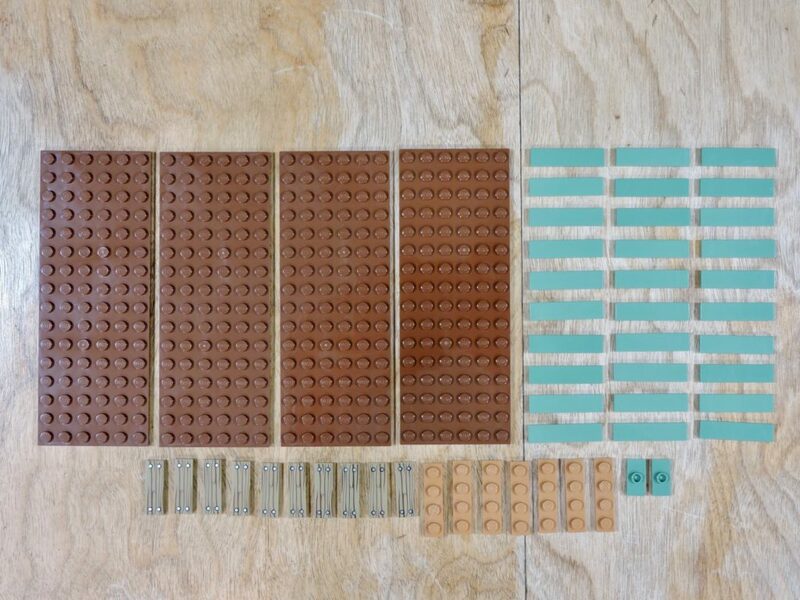 So many tiles in this set! 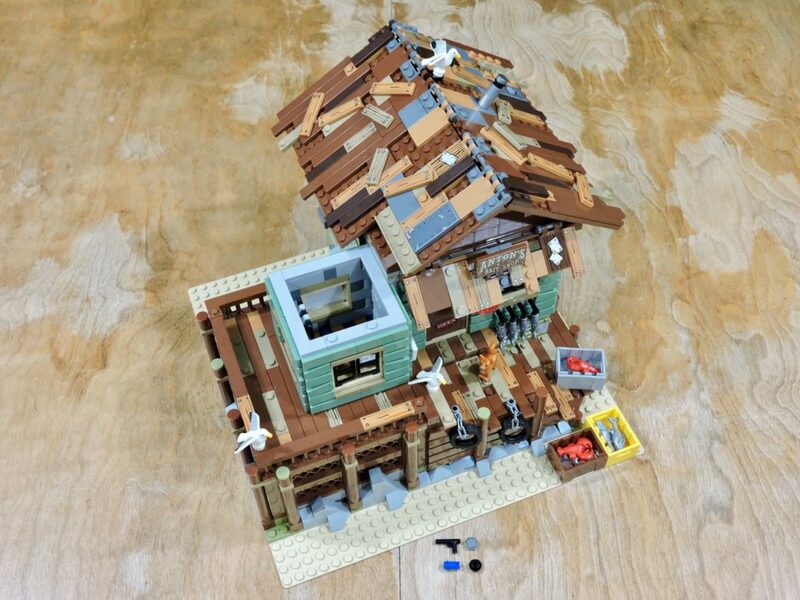 The bag 6s focus on building the ramshackle and oft-patched roof. 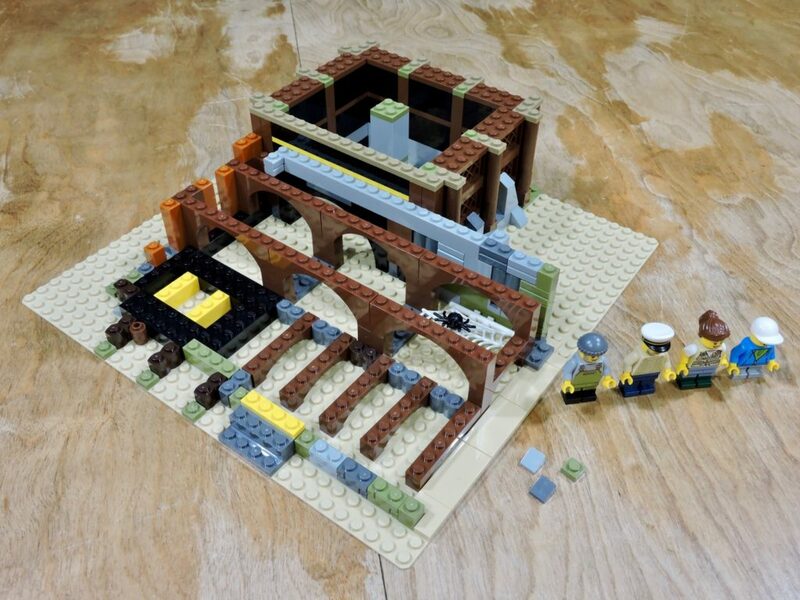 It takes a bit of patience and the instructions can be hard to follow, but the end result is nothing less than awesome! 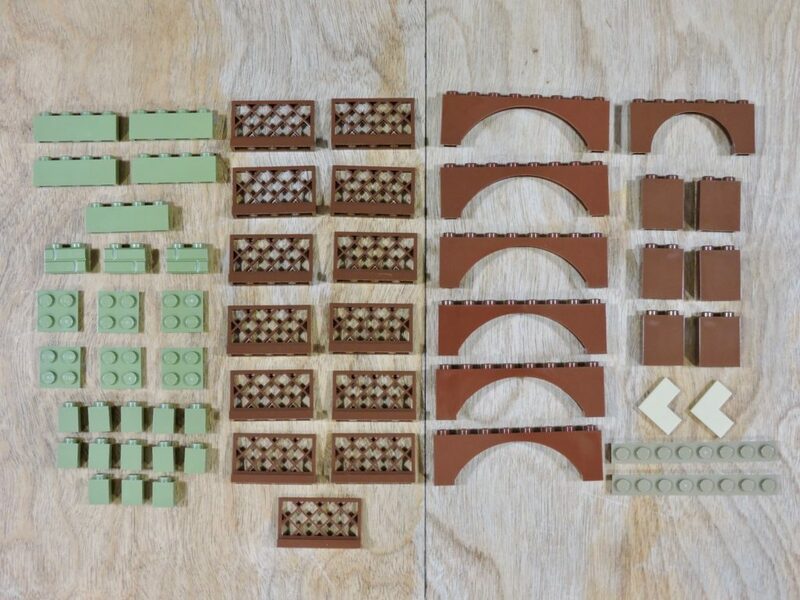 The last set of bags doesn’t disappoint, with a huge quantity of sand green tiles. The medium stone gray chicken is fun too and should make a cool decorative element. The last steps build the tower. The construction is similar to the rest of the building and satisfies just as much. 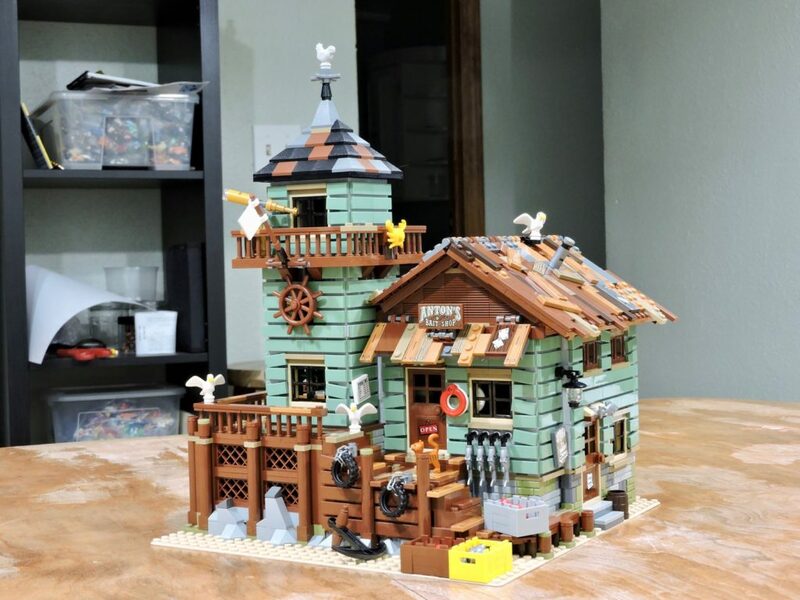 It took me a lazy weekend of building, but the Old Fishing Store is finished. This was a beautiful build that I can’t say enough good things about. 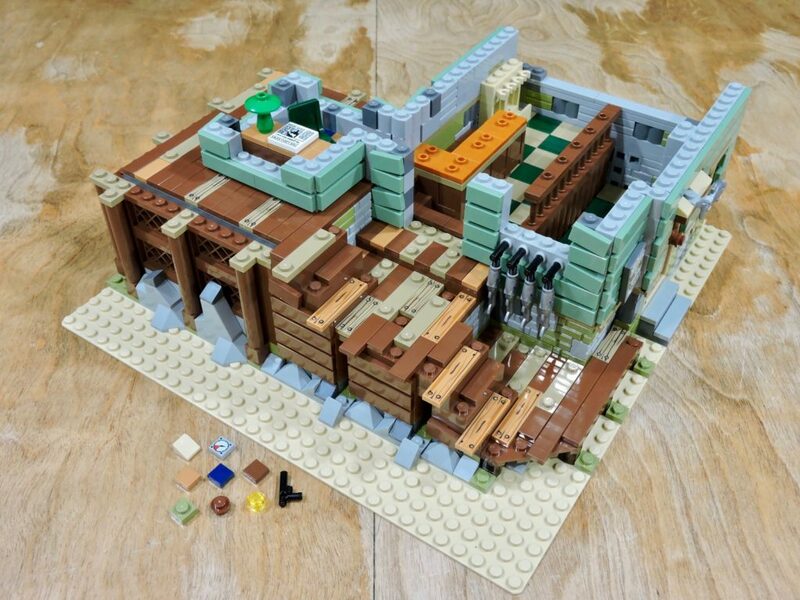 I’m only going to leave you with this one picture of the completed model, since the greatest parts of this set are actually building and discovering all the details. 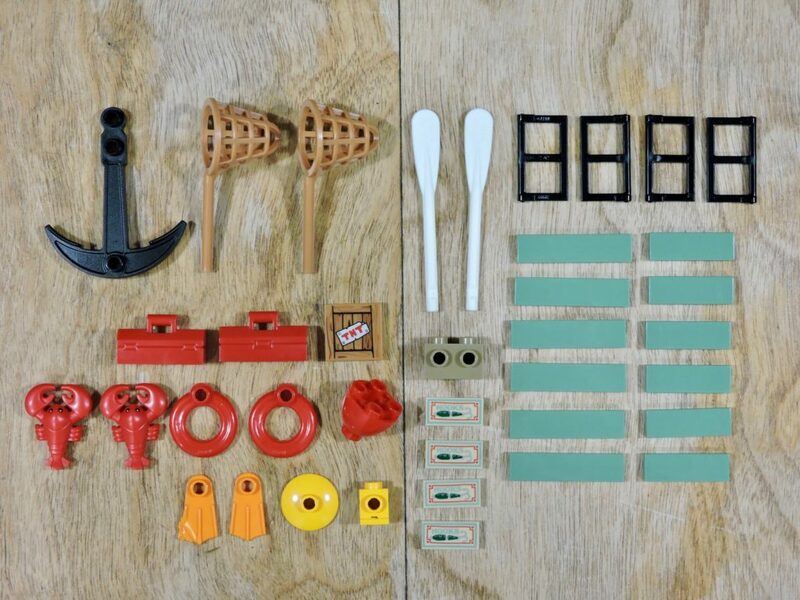 For parts alone, this is a great set. There are a half-dozen elements in quantities of 50+ and another 11 with 25+. Over 2000 elements for a very reasonable 7¢ per piece. Considering this is an Ideas set, that’s a deal. 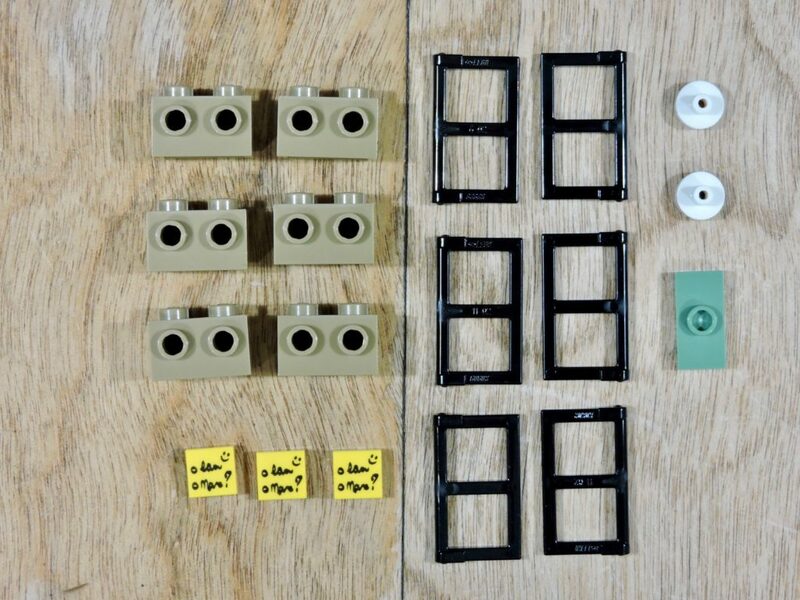 If it wasn’t a $150 set, I’d already have bought a second one for the parts. Really, if it’s in your budget, pick this one up.